Despite being the historic home of Neal Dow, the father of the Prohibition statute known as The Maine Law, Portland, Maine, is far from being dry today. There are now nearly a dozen breweries in the immediate Portland area, and over 60 statewide. Beers from breweries spread across the state can often be found on tap somewhere in Portland—saving lots of additional travel to the more far-flung corners of the state. The city of Portland has its own airport and is also easily accessible by bus and rail from Boston—making it an ideal spot for a weekend beer visit. Start your visit at Rising Tide Brewing Co. (103 Fox St.) in the East Bayside neighborhood. Affectionately called “yEast Bayside” by locals, this once-neglected area has come to life with the addition of several hotspots for beer, cider and spirits as well as coffee. Introduce yourself to Rising Tide’s beer via sample flights, which include Ishmael, a malt-forward altbier, and Daymark, a brightly hopped pale ale. Be on the lookout for beers in the Entrepôt series; these saisons, released four times per year, feature recipes tuned to match Maine’s changing seasons. For lunch, dive in and try whatever the food trucks at the tasting room are offering—which can be anything from tacos to meatballs to chicken and waffles. 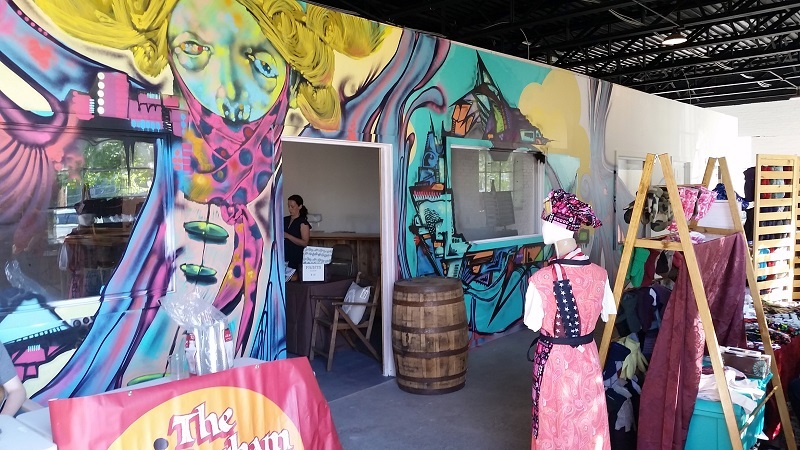 Next, take a walk around the corner to Urban Farm Fermentory (200 Anderson St.), a kombucha, cider and mead brewer. Kombucha is a fermented tea-based beverage with low alcohol. It tastes slightly sour, but is perked up with the addition of fruits and other ingredients, many foraged by Fermentory staff. The lineup of kombuchas varies wildly. Some that recur regularly are the ginger (sweet, warming), blueberry (bright, fruity) and turmeric (earthy, wild). Staff in the tasting room encourage you to try blending the flavors offered to suit your own tastes. Visit with an open mind and be prepared to try ingredients you’ve never tasted. Just up the road is Munjoy Hill, a rapidly changing artist community. Despite its struggles with gentrification pressures, there are still many independent and artistic shops to pop into. Take a little hike up Congress Street, and you can tour the Portland Observatory (138 Congress St.). For a few dollars you can climb the 103 steps to the top of the only remaining maritime signal tower in the U.S., which boasts the best view of Portland’s waterfront. 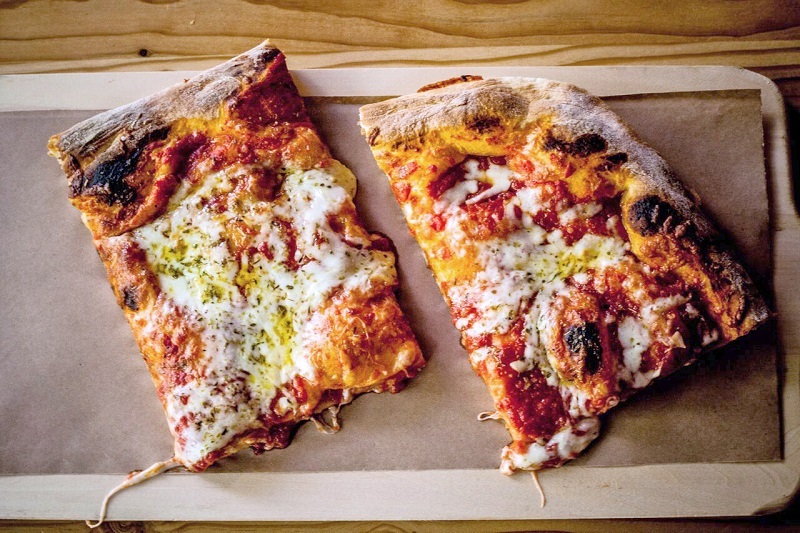 For dinner, head to Slab (25 Preble St.), a Sicilian street-food-inspired eatery with delicious “hand slabs” of pizza, with a fluffy crust and fresh toppings. The tap list, managed by knowledgeable staff, is balanced between harder-to-get local beers and the best of the international imports. To get more of a taste of Maine’s non-Portland breweries, look for beers from Gneiss Brewing Co. (Limerick), Funky Bow Brewery and Beer Co. (Lyman), Barreled Souls Brewing Co. (Saco), and Tributary Brewing Co. (Kittery). If you are in the mood for a fun post-dinner activity, pop across the street to Arcadia National Bar (24 Preble St.). This bar and arcade concept features not only pinball machines, but also a variety of nostalgic gaming platforms and tabletop games. Bring cash for the change machines, and enjoy a drink while you battle for the chance to leave your initials on the top scoreboards. For coffee, skip the Starbucks and head to one of Portland’s many independent coffee roasters. Near the waterfront, Arabica Coffee Co. (9 Commercial St.) is popular with locals but large enough not to have long lines. Grab your caffeine in a to-go cup and head left out of the door toward the waterfront. Following an old railroad track, the Eastern Promenade Trail (portlandtrails.org; trailhead at the corner of Commercial and India streets) is an easy trail (less than 2 miles) that provides some beautiful views of the islands off the tip of Portland’s peninsula. Next, take a drive north on I-295 to the town of Freeport, less than 20 minutes in typical traffic) The brewers at Maine Beer Co. (525 U.S. Route 1). are best known for their hoppiest beers, including Lunch, a juicy IPA, and Dinner, a dank and complex double IPA. A beer that is less famous but equally worthy is MO, which can satisfy any hop lover with its balance and citrusy hop notes. While you’re in town, take advantage of the outlets for shopping, and visit the L.L. Bean flagship store (95 Main St.). Be sure to take a photograph of the giant boot in front of the store. Returning to Portland, head to Riverside, an industrial area teeming with tasting rooms and breweries. 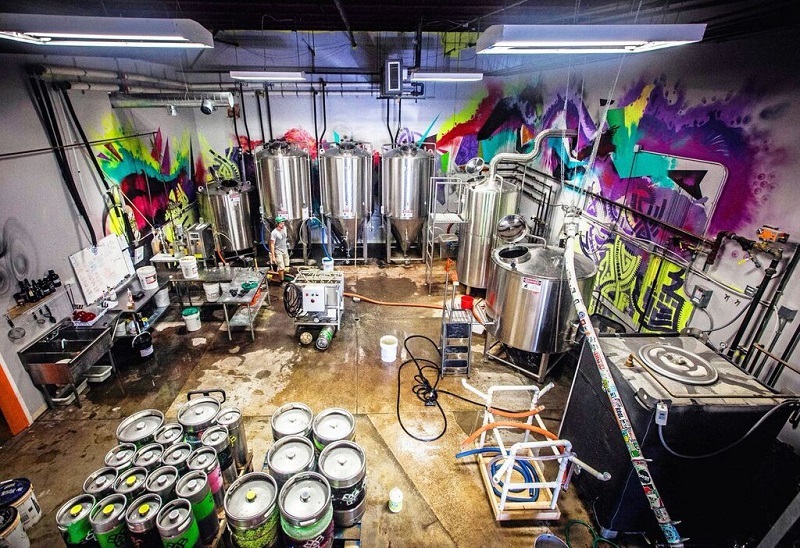 Be sure to visit the trio of young breweries at 1 Industrial Way—Austin Street Brewery, Bissell Brothers and Foundation Brewing Co. Bissell Brothers’ tasting room and brewery is loud, brash and colorful, its beers are primarily hop-forward, and everything is canned. Foundation’s space (next door) is modern and bright, with its lineup riding the more subtle side of beer flavors. Its saisons are not to be missed, and if you are lucky enough to get a taste of Epiphany IPA, you’ll be tasting one of Maine’s best beers, hands-down. On the back side of the building is Austin Street Brewery, a tiny, 1-barrel nano brewery that has extraordinary skill wrangling Brettanomyces and creatively applying it to its beers. 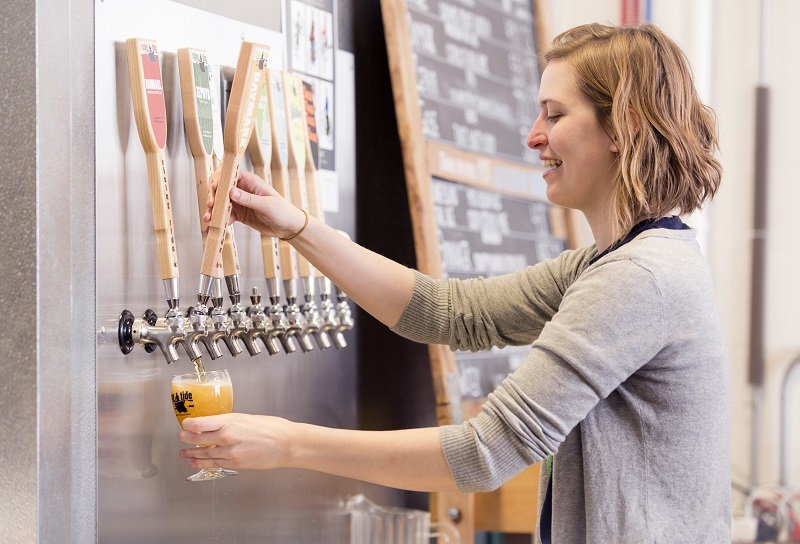 These young breweries are across the street from Allagash Brewing Co. (50 Industrial Way), known for its flagship Allagash White (a Belgian wheat beer) as well as its barrel-aged and sour beers aged and blended on site. Free tours can be booked online, but can fill up quickly in peak months of summer and fall. Thankfully, the tasting room offers free samples of several Allagash beers even if you don’t take the brewery tour. Next, return to the west side of Portland and visit the Longfellow Square area for lunch. Pai Men Miyake (188 State St.) is a ramen restaurant that includes a tap list carefully selected to match the food. Do not skip the pork buns. If you’re in the mood for some beers unique to Maine that are difficult to get outside the state, head to Oxbow Blending & Bottling (49 Washington Ave.), the Portland tasting room and cellar for midcoast-based Oxbow Brewing Co. Oxbow’s specialization is unusual interpretations of farmhouse ales, and its experimentations are as tasty as they are indescribable. For dinner, visit the beer-centric Little Tap House (106 High St.), a humbly sized bar/restaurant with a chef who’s particularly skilled at pairing and cooking with beer. Menu items such as mussels steamed in wheat beer broth, mac and cheese made with goat cheese, gouda or other variations, and a hearty plate of poutine with braised beef will not leave you hungry. Leave time to end your evening at Novare Res Bier Cafe (4 Canal Plaza), a Portland beer geek institution. Though it’s famed for the size of its bottle list, you can’t wrong choosing one of the over 30 taps that are constantly changing (including a subset dedicated to Maine breweries). Local 188 (685 Congress St.) is the quintessential brunch scene for Portland,serving locally sourced and organic foods. The freshness here is certain. The decor is charmingly mismatched, but complements the feel of the Arts District. To bring home your favorite Maine beers, visit Bier Cellar (299 Forest Ave.), an excellent beer bottle shop. If you are overwhelmed, ask an employee what’s new and being talked about, and he or she will clue you in to whatever everyone is buzzing about. Since it would be a crime to leave Maine without sampling some seafood, stop in to Eventide (86 Middle St.) before you head home. In addition to fresh, local oysters, Eventide offers two variations on a New England lobster roll. Order the version with brown butter and you’ll receive a warm, sweet, sopping pile of lobster tucked into an Asian-style sticky bun. It might change your concept of a lobster roll forever. Wait. No Shipyard? Don’t you like diacetyl? Perfectly done, Carla. You managed to hit all the great spots. One idea to add would be to check out the Maine Brew Bus for an easy designated drive to some of these locales (particularly Industrial Way). Yes, I agree! Both the Maine Brew Bus and Maine Beer Tours are fantastic resources for visitors interested in getting a slice of the Maine beer scene, and they do go beyond just Portland as well. Great list of beers/breweries and food places in the original USA Portland. Always fun to find a new beer or brewery in Maine. Very dynamic. Missing (and a big miss) is the venerable craft beer institution, Great Lost Bear. Well done. What are we doing NEXT weekend? Don’t forget to stop at SoMe brewery in York, they have some delicious brews going on!